I was one of those little girls who pretended to get married starting at age three or four. I’d wear my lace slip with the pink bow, stick a piece of lace fabric on my head as a veil, and carry a giant coloring book as a bouquet (yes, you read that correctly). Over the years, my life and views changed, and I’m very thankful I didn’t get married in university or immediately afterwards. Instead, I had time to work, continue figuring out myself and life, make some questionable decisions, and get published(!). However, once I started dating A, I began to ponder my last name. Historically, I couldn’t wait to take my husband’s last name, but, like I said, I changed. I liked my last name, it was my identity, and I valued the connection I felt to my family (granted, my father’s side). 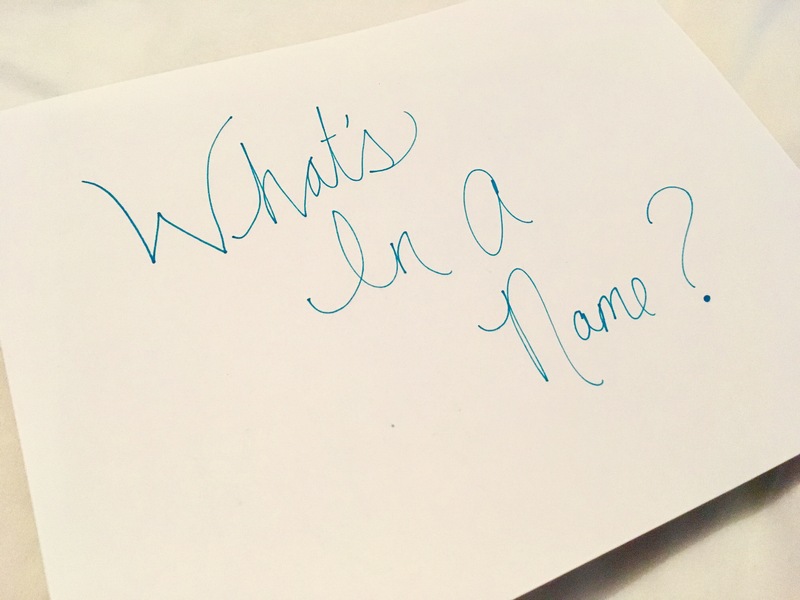 Thus began my ongoing internal (and external—ask my colleagues) argument for keeping, changing, or hyphenating my name (I’ll save the subject of women changing their name for another post). *Spoiler* I decided to hyphenate. It allows me to stay connected to who I am and embrace my new family. But, now I’m facing the conundrum of deciding what my “writer’s name” will be from this point—and I have to decided ASAP (I have a new article coming out next week!!!). Do I continue with my published name for continuity and to honor the career I started and the work I did before marriage? Should I hyphenate, to stay current with who I am and recognize my husband (after all, he is my biggest fan and pushes me and celebrates my victories)? I’ll let you know what I decide (actually…through this process, I think I’ve decided)! Have you experienced this situation? What did you do? I’d love to hear your thoughts! December 2014. The first time I was really introduced to 9/11 “conspiracy theories.” Did I squabble and rebel against the idea? You better believe it! I was more progressive than ever before in my life–but that was too much. The US government knew the attacks were coming? Possibly were involved? No way! Fast forward to now, and I am much more open to this possibility. So much so that last night I watched the 2004 documentary Fahrenheit 9/11 by Michael Moore. It is well worth two hours of your time. If you’ve ever wanted to know the details of what built the “Bush Empire”, the connections that spun a web behind the Bush family, the Bin Laden family, and Saudi Arabia, the timeline in which actions took place, the justification of invading of countries that had no connection to 9/11, the slaughtering of civilians in those countries, the recruitment and, consequently, killing of U.S. troops, and the pain and sorrow of humans in many countries…go watch it now. One of the greatest qualities of the film was the way it gave the history of how we arrived at 9/11 and then showing the humanity of what it is to lose someone (or multiple people) to war. It showed humanity in the worst of lights, killing other humans. But, it showed they had to psych themselves up to do it–and that they felt part of themselves dying with each person they killed. As we enter a new presidential era, where we awaken each morning wondering what new executive order will be passed down from on high, let’s remember that we are all humans and we need each other.